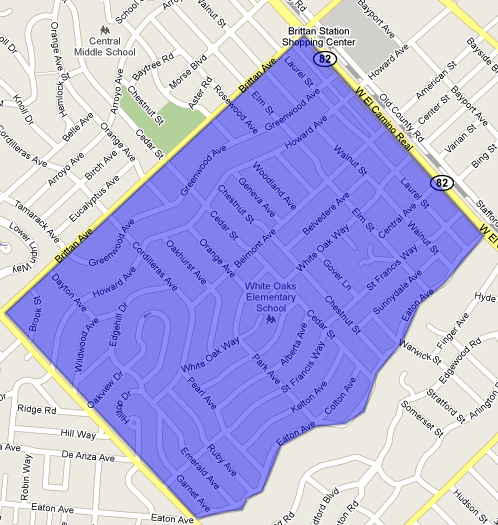 El Sereno or Area 352 is in the Southeast corner of San Carlos. White Oaks refers to the housing tract that is located from Belmont Avenue, south, in Area 352. Belmont Avenue, north, is what is called Oak Park.